Written on May 23, 2018 . Posted in Social Responsibility, Solar electrification solutions. In the Klein Karroo region in South Africa, Septunis Prins is a budding young entrepreneur based in Dysseldorp, about 25km outside Oudtshoorn. Septunis has resourcefully created a niche market by providing solar services and products to the many DC Microgrid solar home systems owners in the area. These solar home systems (SHS) have been installed by Specialized Solar System for the Department of Energy’s solar energy initiative over the years and to date include more than 2200 SHS’s. 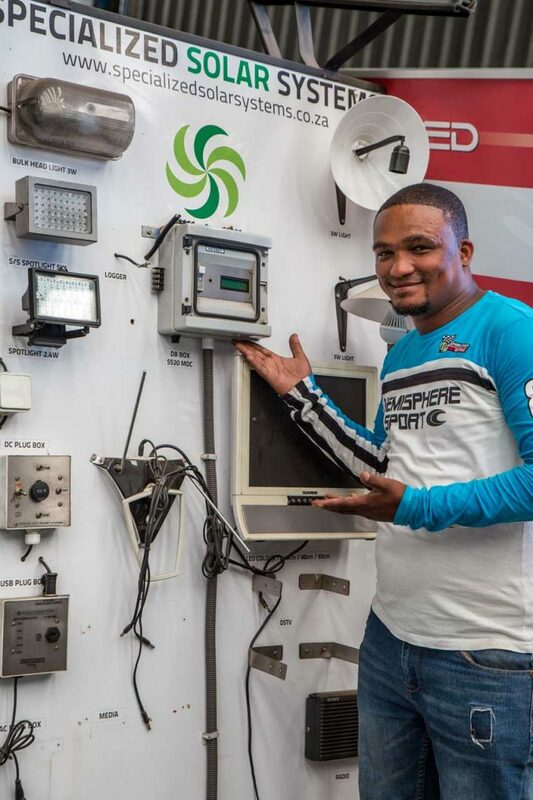 Septunis Prins pictured above with the SS20 DC Microgrid system and some of its appliances in the backdrop. Septunis services include system repairs, maintenance, supplying efficient DC appliances, system upgrades and providing support and advice to the more than 2200 local solar home system owners. Septunis was recently at the factory for product updates and training. 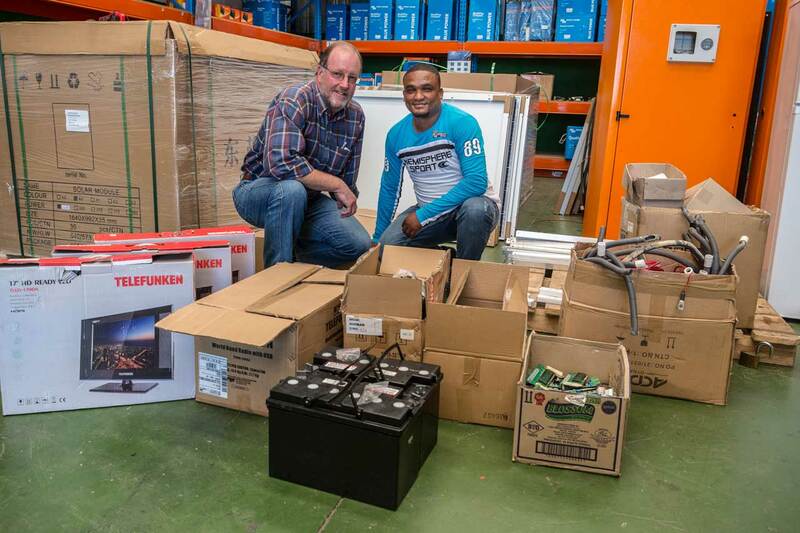 Appreciating his enthusiasm and continual commitment, Peter Bergs, MD at Specialized Solar Systems, decided to donate solar charge controllers and assist the young man with consignment stock to help him grow his business.